I am approaching the 40-year mark in my investment in Adult Education and over 20 years as President of Caldwell Community College and Technical Institute. I still enjoy what I am doing. No two days are the same and it has very seldom ever been a disappointment. If you choose something that you enjoy as your vocation, you will never work a day in your career. I am grateful for the opportunity provided to me to make a difference in the lives of others. My experience and education received at North Carolina State University and in the Department of Adult and Community College Education (now part of Educational Leadership, Policy, and Human Development) provided the basis and foundation for my commitment and belief in the field of Adult Education. The program at NC State prepared me and gave me the skills, knowledge, and abilities to enjoy what I do, and I feel I have created a successful career in adult and community college education administration. I will be eternally grateful to the past chair, Dr. Edgar J. Boone and the faculty and staff that steered, molded, and provided me the very best opportunity to succeed. Their contribution helped our state build the best system of community colleges in the nation. The lifelong friendships that I have forged with fellow students, faculty, and staff were the most enjoyable aspect of my time in the program. I am in contact with fellow graduates and former faculty and staff and it is almost like an extended family. Having an historical perspective on the dissertation experience is the best perspective to have, in my opinion. I remember it somewhat with less anxiety and emotion now. My advice for prospective and current students is to ensure that you have a passion and commitment for Adult Education and if so, you will be involved in a field that has many rewards and presents many opportunities for lifelong changes. Dr. Kenneth A. Boham, CCCTI President (Caldwell Community College and Technical Institute). 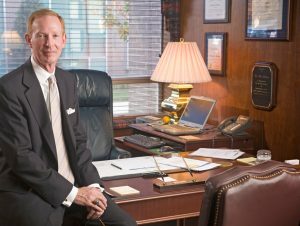 A native of North Carolina, Dr. Boham has served as President of Caldwell Community College and Technical Institute since 1995. Dr. Boham is a graduate of North Carolina State University with an undergraduate degree from East Carolina University. Prior to his appointment as president at CCCTI, Dr. Boham served as Vice President for Continuing Education at Wake Technical Community College and as Interim President for Mayland Community College. 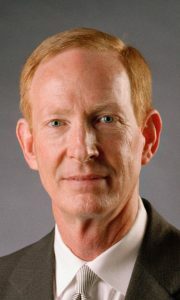 Currently, he is actively involved with the North Carolina Commission on Workforce Development, NC Association of Community College Presidents, the Caldwell County Chamber of Commerce, Caldwell County Smart Start, Caldwell Community College and Technical Institute Foundation, Caldwell 20/20 Board and Lenoir Rotary. 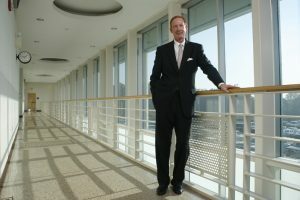 Dr. Boham was named Community College System President of the Year in 2003 and won the I.E. Ready Distinguished Graduate Award from N.C. State in 1998.